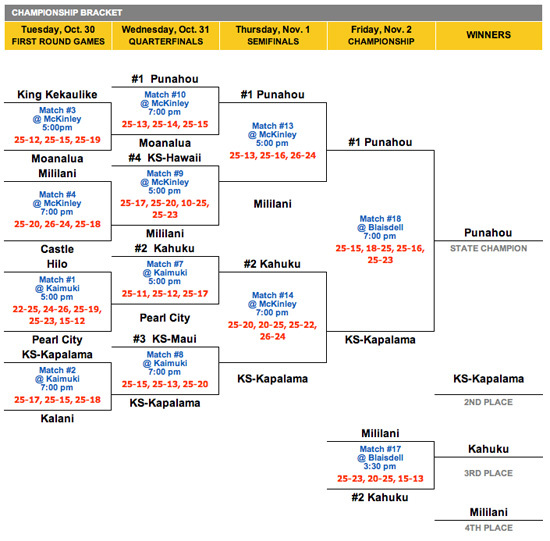 Ka‘u came home this weekend with the fourth place trophy from the girls volleyball state tournament. The Division II No. 4 seed stumbled to No. 2 Farrington in the runner-up match. Meanwhile, No. 1 St. Francis needed five sets to triumph over No. 3 Seabury Hall. 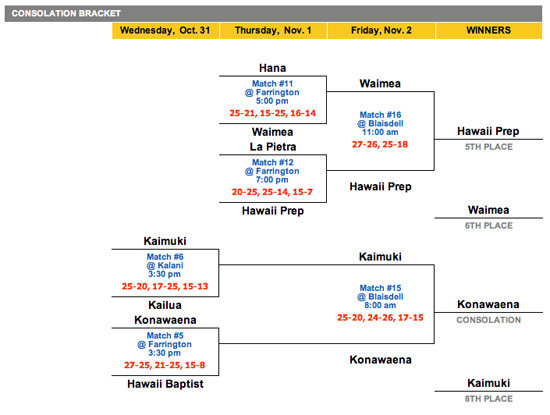 In the Division II consolation bracket, Hawaii Preparatory Academy earned fifth place overall and Konawaena was seventh. 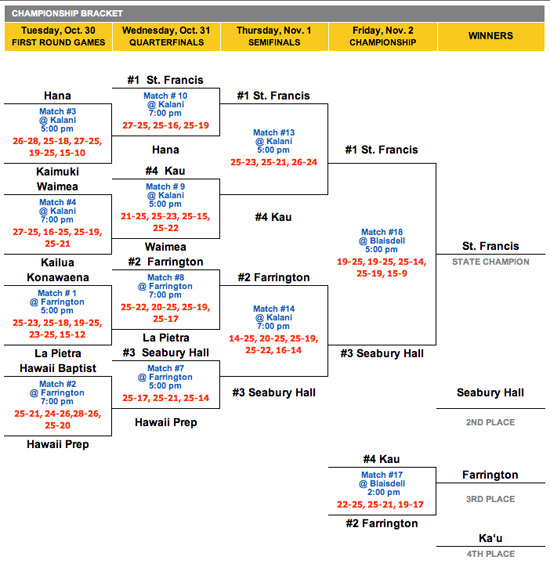 In Division I, Punahou blasted past Kamehameha Schools Kapalama to take the state title. 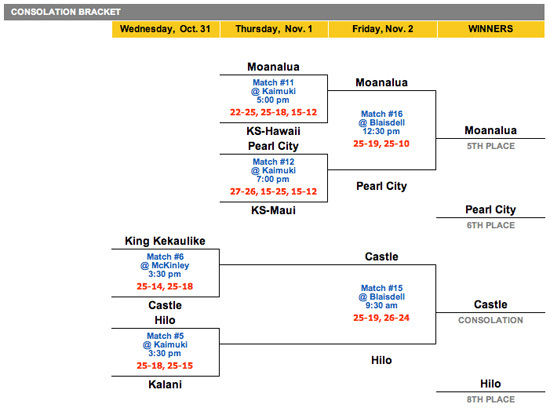 Kahuku and Mililani took third and fourth, respectively, while Hilo had to settle for eighth place overall.